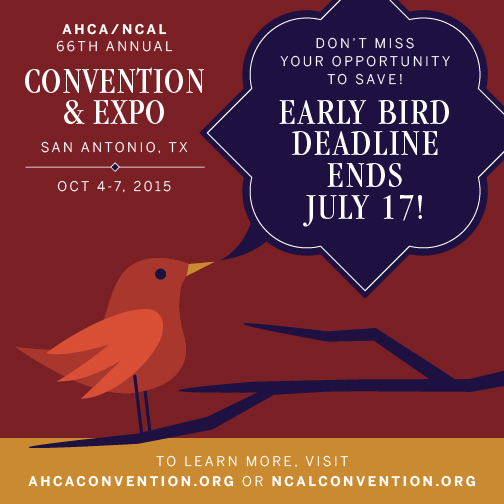 The early bird might get the worm, but you’ll save BIG when registering early for the AHCA/NCAL 66th Annual Convention & Expo. Only three weeks left until the early bird deadline ends on July 17. Don't miss this exciting and one-of-a-kind opportunity to earn CEUs, network with long term and post-acute care professionals from around the country, discuss the latest happenings in the field, and have an all git out good time in San Antonio, Texas. A significant change impacting small employers with up to 100 employees is on its way under the Affordable Care Act (ACA). For plans years beginning in 2016, the definition of “small employer” expands to employers with 1 to 100 employees on and off the exchanges. Currently, the definition of small employer includes only one to 50 employees. The likelihood that more employers in this category will self-insure. It is also worth noting that beginning in 2016, those employers with 50 – 100 employees will face new “shared responsibility penalties.” Employees with 1- 49 employees will not be subject those penalties. Employers with 1-50 employees may also be touched by the expanded definition of “small employer,” if adverse selection occurs in the 51 – 100 employee group. Adverse selection occurs when large numbers of sick or unhealthy individuals acquire health insurance and healthier individuals don’t choose to get health insurance. If adverse selection occurs in the 51 –100 employee group, those in the 1-50 employee group could see their premiums increase. The ACA is complex and choosing the right employee health insurance coverage can be daunting task for providers. Before making a final decision about their 2016 coverage, AHCA/NCAL members are encouraged to check out AHCA/NCAL Insurance Solutions. This “Members Only” program is designed to give AHCA/NCAL members access to brokers who understand long term care and who truly know the ACA and its myriad requirements. More importantly, AHCA/NCAL Insurance Solutions is designed to save members money on one of their largest workforce expenses. For more information, contact Dave Kyllo (202-898-6312) or Nick Cianci (860-416-5333) or email us at AHCA/NCAL Insurance Solutions. As you know, AHCA has been working with the Hill and the Department of Veterans Affairs for the past several years to try to ensure that those who courageously served our country have access to extended care services through VA provider agreements. Providers currently face burdensome regulatory challenges when administering care to thousands of veterans due to onerous regulations surrounding federal contractor status. It is long-standing policy that Medicare and Medicaid providers are not considered federal contractors. However, providers that serve VA patients under a VA contract are considered federal contractors. AHCA currently continues to work very closely with our Congressional champions on this issue, and will keep its members apprised of any updates pertaining to it. For more information, please don’t hesitate to contact AHCA’s Senior Director of Not for Profit & Constituent Services, Dana Halvorson. The U.S. Supreme Court issued its decision in King v. Burwell, finding in favor of the Obama Administration, and voting 6-3 to uphold the Affordable Care Act’s (ACA) subsidies in states that have a federally-run exchange. Specifically, the Court said that the Internal Revenue Service (IRS) was authorized to issue the ACA-related rule that extends tax-credit subsidies to individuals who purchase insurance through either a state- or federally-run exchange. This means that the ACA is here to stay, at least for now. In other words, it is "business as usual" in all exchanges, whether those exchanges are state- or federally-run. Currently, 34 states rely on federally-run marketplaces. Another 13, plus Washington, D.C., have their own state-run exchanges, and three others have state marketplaces but use HealthCare.gov to determine subsidy eligibility. The Court's decision clarifies that subsidies will continue to be available to any individual who purchases insurance through any exchange (state-run or federally-run), and earns between 100-400 percent of the federal poverty level. That means those individuals who previously had tax-credit subsidies in federal-run exchanges will keep those subsidies to the extent that they continue to satisfy the subsidy requirements. Those same individuals also will stay insured. This also means that AHCA/NCAL members must continue to comply generally with the ACA requirements. As of January 1, 2015, all employers with at least 50 full time employees or a combination of full-time and part-time employees totaling 50 are required to comply with the Employer Shared Responsibility provisions found in the Internal Revenue Code, Section 4980H . If employers do not offer affordable health coverage that provides a minimum level of coverage to full-time employees (and their dependents), the employer may be subject to an Employer Shared Responsibility payment (e.g., a penalty). To obtain more information go to AHCA’s website at http://www.ahcancal.org/facility_operations/affordablecareact/Pages/Employer%20Shared%20Responsibility%20Provisions.aspx. A new continuing-education resource from the Agency for Healthcare Research and Quality (AHRQ) is now available at no cost for clinicians’ continuing-education credit. The topic brief explores how low health literacy levels are related to poor health outcomes, including higher risks of death and more frequent visits to hospital emergency departments. This resource also highlights interventions that could be implemented in clinical practice to change health outcomes, such as intensive disease-management programs. Access the free topic brief and obtain continuing-education credit at no cost: http://goo.gl/xHlSO8. Thus, based upon reading of the document, even when the complaint is not based on any of these issues, OSHA will look into these five focus areas for all inspections that they perform at your facilities. Other hazards that may be investigated are exposures to MRSA/MDROs and hazardous chemicals when issues come to the attention of the investigator during this inspection. Questions? Contact Lyn Bentley. William Schaffner, MD, of the National Foundation for Infectious Disease will discuss the importance of immunization for adults, latest ACIP updates and recommendations for adult vaccination, and best practices for increasing adult vaccination rates. The American Health Care Association and National Center for Assisted Living (AHCA/NCAL) commends the Senate Finance Committee for approving and supporting the Notice of Observation, Treatment and Implication for Care Eligibility (NOTICE) Act (S.1349) during Committee consideration today. The Committee’s approval clears the way for the NOTICE Act to be considered by the full Senate. The NOTICE Act will require hospitals to notify Medicare beneficiaries of their outpatient status within 36 hours. Outpatient status affects a patient’s ability to receive Medicare coverage for post-acute care in a skilled nursing center. Senators Ben Cardin (D-MD) and Michael Enzi (R-WY) introduced the NOTICE Act in the Senate on May 14. On March 16, the House unanimously passed the NOTICE Act (H.R.876), which was sponsored by Congressmen Lloyd Doggett (D-TX-35) and Todd Young (R-IN-9). The Centers for Medicare & Medicaid Services (CMS), Medicare Learning Network (MLN) has revised a number of ICD-10 educational products including: 1) FAQs – ICD-10 End-to-End Testing Article – Revised; 2) General Equivalence Mappings FAQs Booklet – Revised; 3) ICD-10 Myths and Facts Fact Sheet - Revised; 4) ICD-10 Classification Enhancements Fact Sheet - Revised; 5) ICD-10 The Next Generation of Coding Fact Sheet – Revised. In a recent letter from Democratic Committee leaders in both the House and the Senate to the US Department of Health and Human Services (HHS) Secretary, Sylvia Burwell, the leadership urges the agency to finalize the Medicaid Program: Methods for Assuring Access to Covered Medicaid Services, or the so-called “equal access” rule. With millions of Americans around the nation covered by Medicaid and millions more gaining eligibility for Medicaid benefits, oversight and enforcement of the Medicaid Act’s equal access provision is of critical importance. Further, with the recent US Supreme Court holding in Armstrong v Exceptional Child, making it impossible for providers to enforce the Medicaid Act’s payment provision in federal court, the only recourse providers have to enforce the Medicaid equal access provision is through HHS’ administrative process. The US Department of Health and Human Services (HHS), Office of Inspector General (OIG) has released its FY 2015 HHS OIG Work Plan Mid-Year Update, summarizes new and on-going reviews and activities that OIG plans to pursue with respect to HHS programs and operations during the current fiscal year and beyond. It describes the primary objectives and projected completion day for each activity. Specifically, the Work Plan describes nursing home activities looking at Medicare Part A billing, state agency verification corrections and procedures for national background checks for long term care (LTC) employees. Further, OIG lists activities categorized under Medicare Advantage, Medicaid, Medicaid Managed Care and Fraud and Abuse. To obtain a copy of the complete report go to http://go.usa.gov/39hQW. The Alliance for Health Reform toolkit summarizes key resources that provide legal, policy, and polit­ical analyses on the case and its implications. It also includes a list of experts, along with contact information. To learn more about the ACA and for helpful resources, please visit AHCA/NCAL’s ACA website. New NPUAP White Paper: Do Lift Slings Significantly Change the Efficacy of Therapeutic Support Surfaces? The National Pressure Ulcer Advisory Panel (NPUAP) has released a new white paper entitled Do Lift Slings Significantly Change the Efficacy of Therapeutic Support Surfaces? The intention of this paper is to increase critical thinking when lift slings are used in combination with therapeutic support surfaces. To view this white paper and others authored by the NPUAP please visit http://www.npuap.org/resources/white-papers/. The Washington Post – one of the nation’s largest and most popular newspapers – has named the American Health Care Association and National Center for Assisted Living (AHCA/NCAL) the 16th top small workplace in Washington, DC and #1 among trade associations in its Top Workplaces for 2015. Launched in 2006, the Top Workplaces program is designed to recognize organizations with greater than 50 employees who aspire to out-perform their peer groups in key areas of employment and employee satisfaction. Established on the precept that “The most successful companies are the ones that employees believe in,” The Washington Post Top Workplaces process recognizes companies across specific employee groupings and awards distinctions based on an anonymous employee survey. The survey is conducted by WorkplaceDynamics, LLC, an independent research firm on organizational health and employee engagement. WorkplaceDynamics conducts regional Top Workplaces programs with 45 major publishing partners across the United States. The Washington Post published the complete list of Top Workplaces last week. 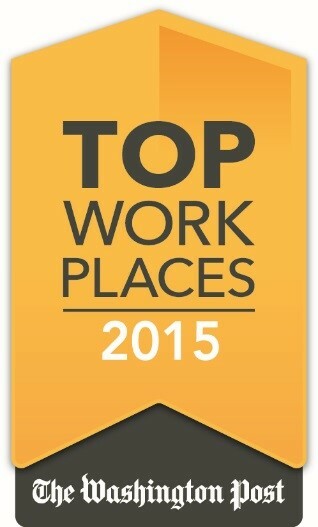 For more information about the Top Workplaces lists and WorkplaceDynamics, please visit www.topworkplaces.com and www.workplacedynamics.com. 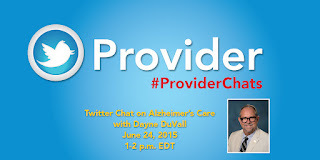 To commemorate Alzheimer’s and Brain Awareness Month (#ABAM), Provider magazine is planning to do a Twitter chat next Wednesday, June 24, 2015, from 1-2 PM Eastern Time. Mr. Dayne DuVall, chief operating officer at the National Certification Board for Alzheimer Care in Chicago, Ill., will moderate our event and be our subject expert. Dayne specializes not only in Alzheimer training, but he also has experienced the disease first-hand as a caregiver for his father who died five years ago after a 13-year journey. Welcome to #ProviderChats, the Twitter chat extension of Provider magazine. Follow @ProviderMag for the most up to date postings and latest news stories. Hundreds of AHCA/NCAL advocates took to Capitol Hill Tuesday to advocate on behalf of the long term care profession. AHCA/NCAL met with key Congressional leadership in both chambers and both parties, meeting with over 200 Congressional offices over the course of the day. AHCA/NCAL’s annual Congressional Briefing offers a chance for over 400 members to listen to legislative experts and Washington insiders as well as visit their Representatives on The Hill. 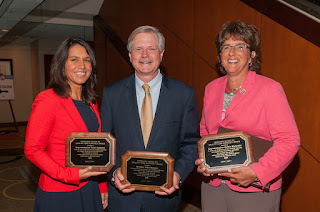 The event featured appearances by Fox News Sunday host Chris Wallace, Republican Conference Chairwoman Rep. Cathy McMorris Rodgers, and recipients of the Veterans Access to Quality Care Advocacy Award winners Sen. John Hoeven, Rep. Jackie Walorski, and Rep. Tulsi Gabbard. More information on the issues discussed during the briefing can be found here. The Centers for Medicare and Medicaid Services (CMS) has opened registration for a national provider call related to the soon-to-be released 2016 Physician Fee Schedule proposed rule. MLN Connects® National Provider Call provides will provide an overview of the 2016 Medicare Physician Fee Schedule (PFS) Proposed Rule. The presentation is scheduled to cover proposed updates to the Physician Quality Reporting System (PQRS), Value-Based Payment Modifier (Value Modifier), Electronic Health Record (EHR) Incentive Program, and Comprehensive Primary Care (CPC) Initiative. A question and answer session will follow the presentation. Although primarily directed at office-based services, this proposed rule may contain provisions directly relevant to therapy and physician services furnished in skilled nursing and assisted living centers under Medicare Part B. A link to the slide presentation will be posted to this page prior to the call. A link to the audio recording and written transcript of this call will be posted to this web page in approximately 2 weeks following the call. This constituency education program is designed just for you with exciting speakers, insightful education sessions, and valuable networking opportunities. 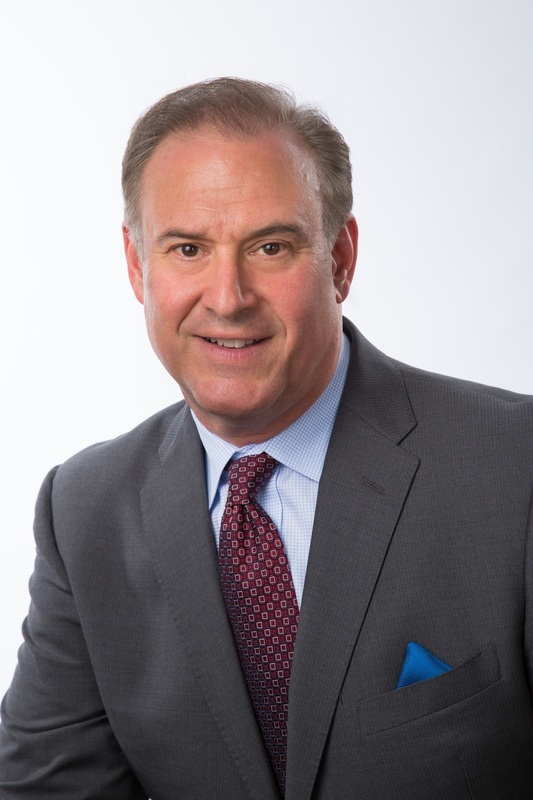 Keynote speaker Charles Bloom, Chief Strategic Officer for Marquis Companies/Consonus Healthcare in Milwaukie, OR, will explore and examine the background of intentional culture and how it creates meaning and purpose. Participants will also have the opportunity to hear from other educational and top-notch speakers, including CMS. Spend time with your peers, network, and share ideas and experiences. Register today! This is a separate ticketed event and must be purchased in addition to any convention registration package. View the entire agenda online. Where can you find one of the largest and most extensive Expos serving long term and post-acute care? 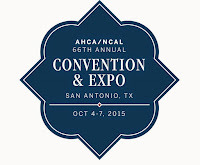 You’ll find it this October in San Antonio at the AHCA/NCAL 66th Annual Convention & Expo. This year’s Expo Hall will be open on Monday October 5, from 11:30 AM – 3:00 PM, and Tuesday, October 6, from 11:00 AM-2:00 PM. The AHCA/ NCAL Expo is a great opportunity for you to explore those new innovative ideas and resources to take home to your organizations. 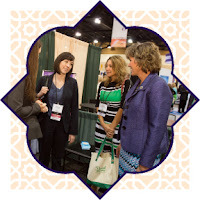 More than 350 industry experts gather in the hall to showcase the latest innovations and ideas, all designed for the long term and acute-care professional. One of the most popular venues at the convention, the Expo Hall is where you just might discover the money-saving and money-making idea that could transform your business. More event details and registration information can be found on our official website. Register now and we’ll see you in San Antonio! Nursing centers must comply with federal and state environmental laws and regulations. According to the website “Healthcare Environmental Resource Center” (HERC), examples of applicable regulatory topics include management and disposal of medical waste and center issues such as storm water, boiler and generator operation and renovation/construction activities. The Survey and Regulatory page of AHCA’s website now has a link to the HERC website to assist members understand and comply with relevant environmental requirements. Included on the HERC website is a “Compliance Summary Tool” to help you understand which environmental regulations apply to your center. On June 8, the U.S. Department of Health and Human Services (HHS) issued a press release announcing the results of a HHS-supported study evaluating a successful falls intervention program for older adults. In the press release, HHS states that families and providers have a new tool in the fight against falls- a comprehensive prevention program developed by HHS that reduces both falls and resulting use of long-term care, such as assisted living communities and nursing homes. The prevention program, which includes clinical in-home assessments of health, physical functioning, falls history, home environment, and medications to create customized recommendations, was developed by HHS based on the research evidence on risk factors and interventions. Using a randomized control trial, the program was tested among long-term care insurance policy holders age 75 and older to determine whether the intervention was effective and, if so, the impact on long-term care utilization. The study found that the program led to significantly lower rates of falls over a one-year study period. Those who received the intervention had a 13 percent lower rate of falls, and an 11 percent reduction in risk of falling compared to the control group. Participants also had a significantly lower rate of injurious falls. Long-term care insurance claims were 33 percent lower over a three-year period. The intervention, which cost $500 per person to administer, saved $838 per person. Falls- which happen to 1 in 3 people age 65 and over every year-- can cause pain, suffering, and death, and cost an estimated $35 billion in health care spending in 2014. They are a leading risk factor for needing long-term care at home or in a nursing facility. Given the impact of falls, findings from the HHS-funded study give hope for reducing the rate of falls among the growing population of older adults. While the focus of the study was on community dwelling persons, many of the components could be applicable to fall prevention programs in assisted living communities and skilled nursing centers. For more information in the study design see The Effect of Reducing Falls on Long-Term Care Expenses: Final Design Report. The research study results are published in the June 2015 Health Affairs journal on a pre-article or per-subscription payment basis. Earlier this year, NCAL released a consumer fact sheet for residents and families to work with assisted living providers on trying to manage the risk for falls among residents. That, along with other resources, can be found on the NCAL website at http://bit.ly/NCALfalls. According to a June 11, 2015, article in CBS Miami, Florida Governor Rick Scott recently signed a measure in which hospitals will be required to provide notice in discharge papers to patients who are in “observation status.” The article notes the praise for the bill from the Florida Health Care Association. Currently, “observation status” in a hospital does not count toward satisfying the three-day inpatient hospital requirement for coverage of skilled nursing care services under Medicare. Often, patients remain under ‘‘observation status’’ in the hospital for several days. These days are not counted toward the three-day inpatient stay requirement because they are considered outpatient. Increasingly, patients have no idea what their status is in a hospital, or the importance of it, which can lead to thousands of dollars in out-of-pocket medical expenses should they need skilled nursing center care following their hospital stay. In addition to placing a financial burden on seniors and their families, this anomaly in Medicare rules can cause unnecessary spend-down, accelerating the time frame in which seniors will have to turn to programs such as Medicaid to pay for their care. According to the Comprehensive Error Rate Testing (CERT) Part A and Part B (A/B) and Durable Medical Equipment Medicare Administrative Contractor (MAC) Outreach & Education Task Force, common and often widespread documentation errors for outpatient rehabilitation therapy services contribute to Medicare’s national payment error rate, as measured by the CERT program. The leading cause of payment errors for therapy services is “insufficient” documentation in the medical records. Documentation is often missing the required elements as outlined in applicable national coverage policy and local coverage determinations. Earlier this week the Centers For Medicare and Medicaid Services (CMS) Medicare Learning Network (MLN) published a fact sheet titled Complying With Medical Record Documentation Requests. The fact sheet was developed by MLN in conjunction with the CERT A/B MAC Outreach & Education Task Force to provide nationally-consistent education. Among the services discussed on the fact sheet were the requirements for properly documenting outpatient therapy services paid under Medicare Part B. The fact sheet includes references and links to the applicable outpatient therapy documentation requirements. In addition to the MLN fact sheet, all 8 MACs issued a fact sheet on their respective web sites titled Task Force Scenario: Documenting Therapy and Rehabilitation Services which can be located at: Cahaba Government Benefit Administrators, CGS Administrators, National Government Services, Noridian Healthcare Solutions, Novitas Solutions, Palmetto GBA, or Wisconsin Physicians Service Corporation (Note: some of these links go directly to the document, others require website search). In the MAC website fact sheets, the CERT A/B MAC Outreach & Education Task Force recommends providers carefully review the national and local outpatient therapy documentation requirements referenced, as well as apply the following tips for ensuring complete and accurate medical records. Yesterday, three members of Congress were recognized at AHCA’s Congressional Briefing for their outstanding leadership and work on the VA provider agreement issue. 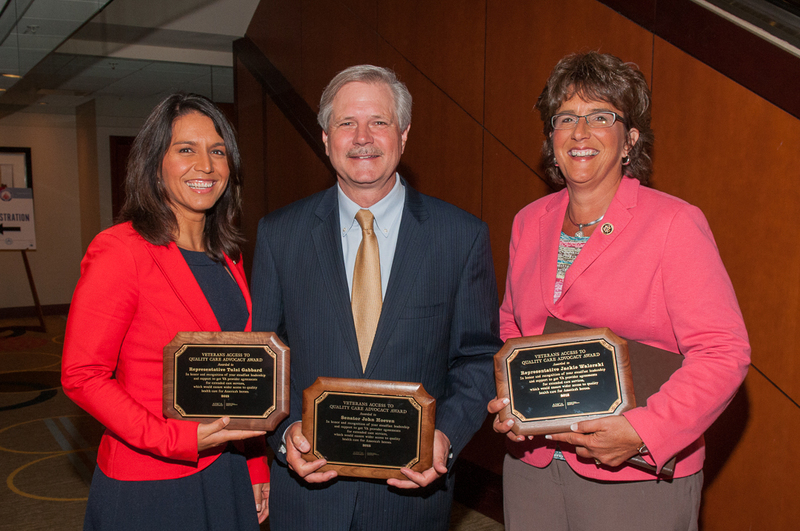 (Pictured from left to right are Rep. Tulsi Gabbard, Senator John Hoeven and Rep. Jackie Walorski.) Plaques are also being given to Senate VA Committee Chairman Johnny Isakson, Senate VA Committee Ranking Member Richard Blumenthal, Senator Jerry Moran, Senator Joe Manchin, Senator Tom Carper and House VA Committee Chairman Jeff Miller for their tremendous and ongoing efforts on this issue. The recently enacted Medicare Access and CHIP Reauthorization Act of 2015 included provisions that allowed the zero percent update that would have ended on March 31, 2015, to continue through to June 30, 2015, and allows for a one-half percent (0.5%) update from July 1, 2015, to December 31, 2015. Thanks to the efforts of Tony Marshall, the Senior Director of Reimbursement for the Florida Health Care Association, AHCA is able to post the updated 2015 Medicare Part B Fee Schedule that applies to Part B therapy services for the period from July 1 through December 31, 2015. 1. The July 2015 Medicare Part B Fee Schedule (Part B Fees) for Outpatient Rehabilitation for each Carrier and Locality. 2. The July 2015 Medicare Part B MPPR Fee Schedule (MPPR) for “Always Therapy” Services (50% MPPR Factor). Please note that the fees reflect all changes included in the CY 2015 Medicare Physician Fee Schedule Final Rule published in the Federal Register on November 13, 2014 and subsequent implemented corrections to technical errors discovered after publication of the MPFS rule. The Medicare Access and CHIP Reauthorization Act of 2015 allowed the zero percent update that would have ended on March 31, 2015, to continue through to June 30, 2015, and allows for a one-half percent (0.5%) update from July 1, 2015, to December 31, 2015. It also extends the physician work geographic practice cost index (GPCI) floor of 1.0, and the therapy cap exceptions process, through December 2017. The outpatient therapy beneficiary cap for CY 2015 is $1,940 for physical therapy and speech-language pathology combined, and $1,940 for occupational therapy. Section 202 of the Medicare and CHIP Reauthorization Act (MACRA) of 2015 extended the therapy caps exceptions process through December 31, 2017. The MACRA Act also required reforms of the therapy manual medical review (MMR) policies and procedures within 90 days of enactment, which we anticipate occurring on or about July 15, 2015. We are awaiting further details on the MMR changes to be implemented. The May 15, 2015, MLN Matters Article (MM 9152) can be found at http://www.cms.gov/Outreach-and-Education/Medicare-Learning-Network-MLN/MLNMattersArticles/Downloads/MM9152.pdf and the Related Change Request (Transmittal 3259; CR 9152) can be found at http://www.cms.gov/Regulations-and-Guidance/Guidance/Transmittals/Downloads/R3259CP.pdf. An overview of the Physician Fee Schedule Payment Policies may be found at http://www.cms.hhs.gov/PhysicianFeeSched/ and an overview of skilled nursing facility consolidated billing and annual updates can be found at http://www.cms.gov/Medicare/Billing/SNFConsolidatedBilling/. Additional state-specific details for 2015 can also be found online. Next week over four hundred members will bring their voice to the Hill and be heard. Congressional Briefing provides an important chance to talk face-to-face with your Members of Congress about the issues that matter most to you. The two day event will be attended by members from all fifty states and the District of Columbia, who have set up over 250 meetings with members of Congress to discuss critical issues facing skilled nursing and assisted living centers. This year’s keynote speaker is the anchor of Fox News Sunday, Chris Wallace. 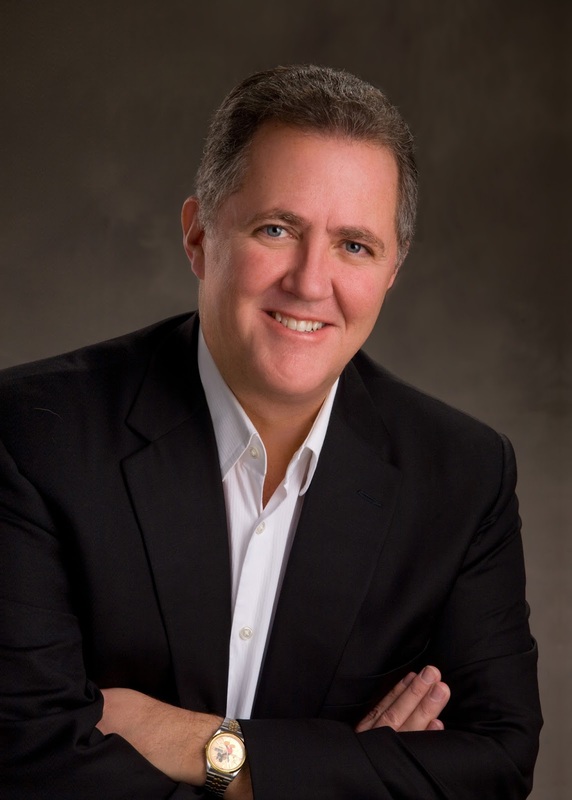 Wallace has an extensive career in the broadcasting industry for forty years and has won every major broadcast news award for his reporting, including three Emmy Awards. Members will also hear the latest about all that is happening on the Hill, and network with peers. Attendees will hear important updates from members of Congress including Congresswoman Cathy McMorris Rodgers (R-WA), Representative James E Clyburn (D-SC), as well as Senator John Hoeven (R-ND), Representative Jackie Walorski (R-IN) and Representative Tulsi Gabbard (D-HI). The event also features this year's Joe Warner Patient Advocacy Award winners, who will be recognized for their tireless efforts in their communities and Washington, D.C. as advocates of the long term and post-acute care profession. Robin Hillier, Barry Lazarus, and Bob Van Dyk will be honored this year. There will also be a special awards ceremony with Congressional Leaders recognizing the strong advocates their work does advancing for important causes for the long term care profession. See the complete agenda scheduled for next week’s event. To stay on top of your game in the ever-changing landscape of long term and post-acute care, you’ll need the education and information found at the AHCA/NCAL Convention & Expo! This year’s event offers more than 60 education sessions with timely CEUs for year-end certification for administrators, DONs and other professional staff. The early bird registration for convention continues through July 17. In addition to the our education sessions, additional CEUs can be earned by attending various Constituency Education programs for assisted living, rehabilitation therapy, ID/DD residential services, not for profit providers, CEOs/executives, procurement professionals, and the NEW program for SNF Administrators/CFOs and center management staff regarding MDS and the survey process. Be sure to register for the Premium Full Meeting Package and you won’t miss any session. With this package you’ll get access to all the recorded sessions with synced handouts (if provided by speaker) and the opportunity to earn even more CEUs post-convention via webinar formats. Don’t wait any longer, register today! See you San Antonio, October 4-7. 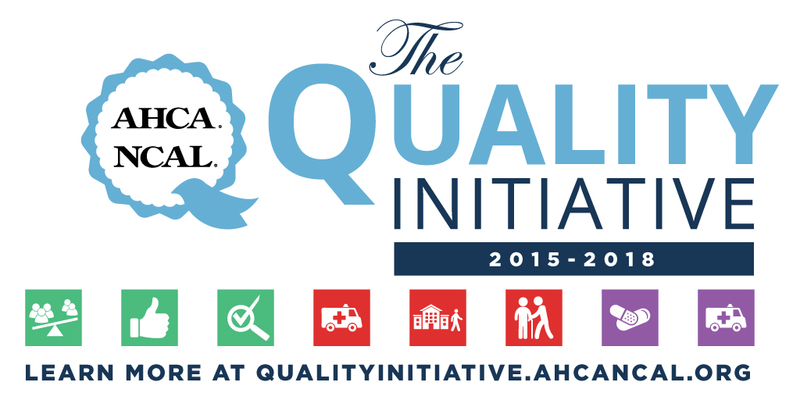 On May 7, AHCA announced the expansion of our nationwide, multi-year initiative to improve quality care in skilled nursing care centers. 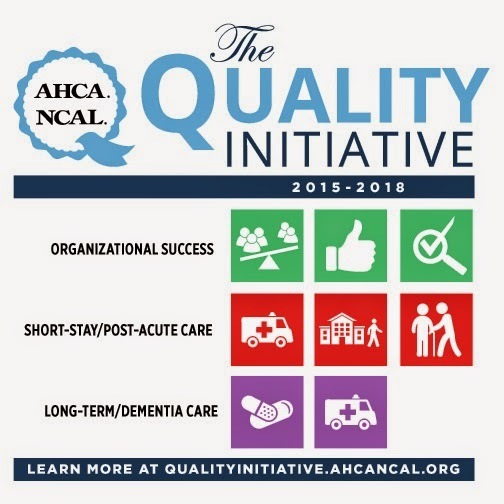 Building on the progress achieved by the profession over the last three years, the next phase of the initiative includes eight measurable targets with a strategic focus in three goal areas: improvements in organizational success; short-stay/post-acute care; and long-term/dementia care. The goals of this phase of the initiative are closely aligned with those of policy makers who shape the environment in which our members operate. Addressing these goal areas will position members for better results on metrics that will be increasingly important not only to the quality of care for residents and patients, but also for business success as quality is increasingly linked with payment models. Time is Running Out! Nominate Your Champion of Quality By This Thursday! Do you know an individual who has made significant national contributions to advancing quality performance in long term and/or post-acute care? Then nominate them today! Nomination forms can be found on the Champion of Quality Award page, and must be submitted via email to Courtney Bishnoi by this Thursday, June 11, 2015. Recipients of the award are not required to be AHCA/NCAL members, but the nomination must be submitted by an individual with an organization that is an AHCA/NCAL member of good standing. In addition, the nomination must demonstrate how the nominee has made a significant impact on a national scale. The recipient will be honored at the 2015 AHCA/NCAL Annual Convention & Expo’s Closing General Session in San Antonio, Texas, on October 7. The 9th Annual NCAL Day at the beginning of the AHCA/NCAL Convention & Expo features exceptional keynote speakers that will provide attendees with innovative ideas, resources and tools. Inspire all the members of your staff on Sunday, October 4 as you hear their stories of victory and success. Closing keynote speaker Mark Schultz is an Olympic and two-time World champion freestyle wrestler and the inspiration for the blockbuster movie “Foxcatcher.” Schultz’s inspiring story includes how he and his brother won more NCAA, U.S. Open, World, and Olympic titles than any American brother combination in wrestling history, only to have tragedy follow their success. 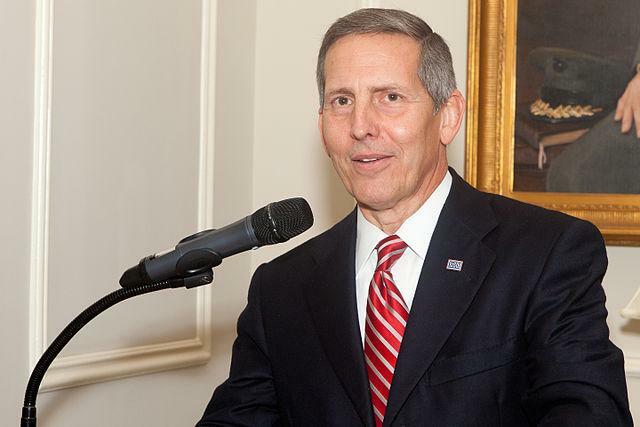 You do not want to miss Schultz’s message of perseverance. NCAL Day will also feature the opportunity to earn up to 5.25 CEUs at a variety of educational sessions. 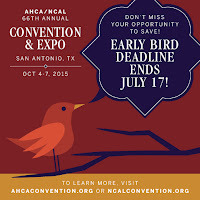 Register for NCAL Day before the early bird deadline of July 17 and save! This is a separate ticketed event from general registration to the AHCA/NCAL Convention & Expo and must be purchased in addition to any convention registration package. A new feature was added to LTC Trend Trackersm in early May that allows organizations to upload Turnover and Retention Data directly into the system. This new upload process has replaced the mailed survey that was done in years past and is easier and faster to complete. In addition, members now have the added ability to upload data for Assisted Living Communities. The new feature has many benefits, including immediate access to the data once it has been uploaded. The form has also been simplified and members only need to enter data for the following positions: Administrator/Executive Director, Director of Nursing/Residential Care Services, staff RN, LPN/LVNs, CNAs, Aides and a total of all staff. Members can do many things with the data once uploaded, including track statistics against others to see if you have a higher or lower turnover than your market. This can help with hiring, budgeting and many other key decisions. Members can also show progress when applying for the AHCA/NCAL Quality Awards or when talking to referral sources. To learn more, please go to www.ltctrendtracker.com. On April 15, 2015, CMS released its proposed rule for the Fiscal Year 2016 SNF Prospective Payment System (PPS). CMS is proposing a net estimated market basket growth rate of 1.4%. The increase is projected to offer the profession an additional $500 million. For the first time, the rule also include a new topic to the SNF PPS – quality measures and reporting provisions – further heightening the importance of quality performance to business success going forward. The rule outlines CMS’ proposed approaches to begin implementation of the SNF Value Based Purchasing Program (VBP). This program will create payment incentives and penalties for SNFs linked to their rehospitalization rates, as well as the SNF Quality Reporting Program (QRP), which will establish standardized quality measures across post-acute care settings, paving the way for future changes in payment systems. The three areas CMS proposes to begin with measuring under the QRP are pressure ulcers, falls and functional status assessment. AHCA is currently preparing extensive comments on the proposals, which will be submitted by June 19. Additional information about the proposed rule can be found on the AHCA SNF PPS webpage. So what’s the next step for you, our members working to advance quality in your centers on a daily basis? We encourage you to review the resources available to you at qualityinitiative.ahcancal.org. Your first stop should be the Getting Started Guide, which provides a quick overview of the goals and outlines a number of steps you can take to ensure you are making steady progress and achieving measurable results. We are proud of the work our members have done! Since the launch of the Quality Initiative in 2012, you have achieved reductions in the use of antipsychotics and in hospital readmissions. Specifically, member organizations safely reduced the off-label use of antipsychotic medications by 21.2 percent compared to the national average of 19.4 percent in the fourth quarter of 2014. As a result, 33,100 individuals are no longer receiving these medications. For hospital readmissions, AHCA members successfully prevented 40,424 individuals from returning to the hospital — a 14.2 percent reduction since 2011. We urge you to build on these successes and continue to ensure the best possible results for the people you serve on a daily basis! The General Accounting Office (GAO) has released a report, Patient Protection and Affordable Care Act: Despite Some Delays, CMS Has Made Progress Implementing Programs to Limit Health Insurer Risk, which evaluates the three programs mandated under the Affordable Care Act (ACA) to mitigate the risks issuers of health insurance faced starting in 2014. Each of these three programs—risk adjustment, reinsurance, and risk corridors—was intended to account for a different source of issuer risk, such as enrollee health status or high-cost medical claims. CMS considered a range of market characteristics—including demographics and the availability of data—in making decisions about how to design each of the programs. CMS's design decisions also reflected the temporary status of the reinsurance and risk corridors programs, which are set to expire after 3 years. While CMS considered similar Medicare risk mitigation programs during the design process, key differences in the markets served by Medicare and the ACA programs resulted in different approaches to their design. GAO was asked to provide information on the design and development of these three programs and issuer perspectives on them. Subsequently this report, describes: (1) the factors that guided CMS's design of these programs, (2) the data collection systems CMS developed for these programs, (3) CMS's plans to monitor and evaluate the programs, and (4) issuer experiences with the programs. GAO reviewed regulations, guidance, and documentation about design and implementation activities and interviewed CMS officials. To obtain a copy of the full GAO report go to http://www.gao.gov/products/GAO-15-447. CMS is looking for a contractor to build and maintain the so-called Provider Compliance Reporting System, which will be used to track enforcement action against Medicare providers over questionable claims. The system will be accessible on the forthcoming ProviderMedicare.gov website. See the request for proposal at https://www.fbo.gov/index?s=opportunity&mode=form&tab=core&id=2195ac22e64598beaa46d09bd0a11a54&_cview=0. The US Department of Health and Human Services (HHS), Office of Inspector General (OIG) has released a report, US Department of Health and Human Services Met Many Requirements of the Improper Payments Information Act of 2002 But Did Not Fully Comply for FY 2014, that indicates that HHS “still has a ways to go” to crack down on improper payments in Medicare. 5) report Medicare fee-for-service improper payment rates in one program below 10 percent in FY 2014. The General Accounting Office (GAO) has released a report titled Additional Actions Needed to Improve Provider and Beneficiary Fraud Controls, which concludes that “thousands of Medicaid beneficiaries and hundreds of providers were involved in potential improper or fraudulent payments during FY 2011” in AZ, FL, MI and NJ. 3) about 50 providers were excluded from federal health care programs, including Medicaid, for a variety of reasons including abuse and neglect, fraud, theft, bribery or tax evasion. Since 2011, the Centers for Medicare and Medicaid Services (CMS) has taken regulatory steps to make the Medicaid enrollment process more rigorous and data driven; but according to the report, gaps in beneficiary-eligibility verification guidance and data sharing continue to exist. GAO recommends that CMS issue guidance for screening deceased beneficiaries and supply more complete data for screening Medicaid providers. To obtain a copy of the complete report go to http://www.gao.gov/products/GAO-15-313. On Thursday, June 11, 2015, from 1:00 – 2:30 PM Eastern Time, the CMS National Training Program will provide a high-level overview of the Affordable Care Act (ACA) and the Health Insurance Marketplace. During this webinar event, CMS will review topics including qualified health plans, eligibility and minimal essential coverage, enrolling in a plan, the Small Business Health Options Program (SHOP), and where to get assistance. You can join the audio portion of the webinar on 1-877-267-1577, conference ID: 998 275 879, and view the webinar at https://webinar.cms.hhs.gov/ntplearnseriesjun2015/ . To learn more about the ACA and for helpful resources, please visit AHCA/NCAL’s ACA website. The Centers for Medicare & Medicaid Services (CMS) has just updated MLN Matters Number: SE1409, Medicare Fee-For-Service (FFS) International Classification of Diseases, 10th Edition (ICD-10) Testing Approach. They remind providers that “ For dates of service on and after October 1, 2015, entities covered under the Health Insurance Portability and Accountability Act (HIPAA) are required to use the ICD-10 code sets in standard transactions adopted under HIPAA. The highlights of the past year can now be explored in the new interactive format on the website. A new way to look at the past year in review and all the successes the association has accomplished. 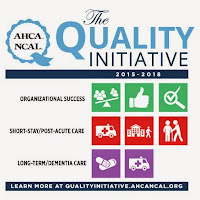 Scroll through progress on the Quality Initiative, LTC Trend Tracker updates and how we were the voice for the long term and post-acute care profession. Flip through AHCA's interesting facts and NCAL's information for easy reference of the successful year in review. The new online format will enhance the opportunity to view interactive features such as additional photos and video selections. It allows us to showcase the valuable events and educational resources we have to offer. Each year we are exceeding expectations in growth and now we have the opportunity to better represent our dedication to promoting excellence in quality care. 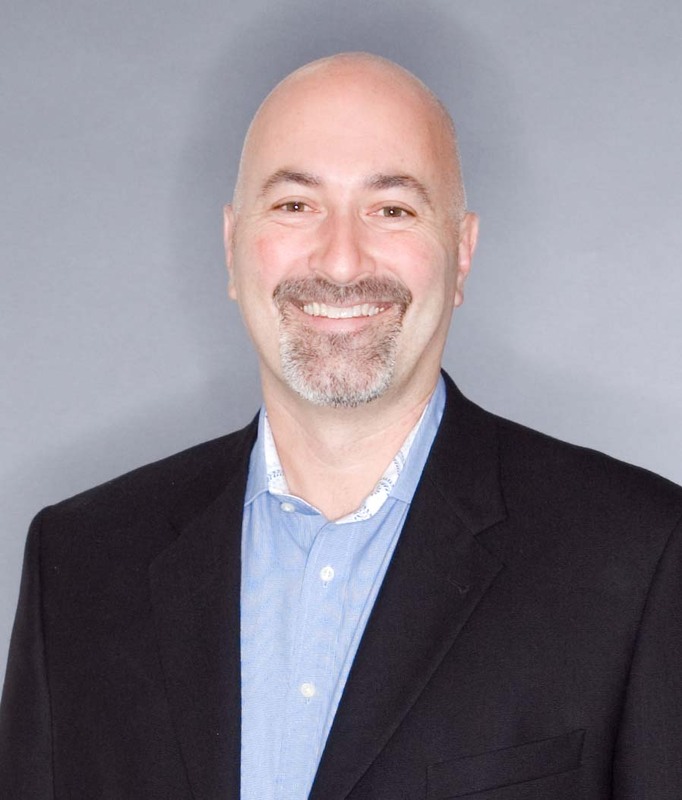 Fred Benjamin of Medicalodges, Inc. This afternoon, AHCA member and VP and COO of Medicalodges, Inc. in Coffeyville, Kansas, Fred Benjamin, will testify in front of the U.S. Senate Committee on Veterans’ Affairs on the VA provider agreement discussion draft. This draft legislation makes sure the non-Federal Acquisition Regulation (FAR) based option is available so that AHCA’s skilled nursing care centers and others can continue in partnership with the VA to provide veterans quality health care as close to home as possible. It is long-standing policy that Medicare (Parts A and B) or Medicaid providers are not considered to be federal contractors. However, if a provider currently has VA patients, they are considered to be a federal contractor. As you may know, AHCA started work with the VA and Capitol Hill on the provider agreement issue for extended care services several years ago. In this current Congress, the U.S. Senate and House Veteran’s Affairs Committees and other key members of Congress are currently working on this issue. In addition to the VA provider agreement discussion draft, a few other VA related bills and topics are under discussion and consideration at today’s hearing. · Under Medicaid Managed Care: State payments to managed care entities, data collection and reporting, program integrity in managed care, and beneficiary protections in managed care. To obtain the full OIG report go to http://oig.hhs.gov/reports-and-publications/archives/workplan/2015/WP-Update-2015.pdf. The Agency for Healthcare Research and Quality (AHRQ) will host a webinar June 24 to share results of recent reviews of interventions to improve patient and provider communication during the informed consent process and documentation of patients’ preferences for end-of-life care. Research shows the informed consent process is often incomplete and patient recall and comprehension of the discussion is usually low. Additionally, care patients receive at the end of life is often not consistent with their preferences. Effective patient-provider communication can make a difference. Learn the seven elements of the informed consent process and how to identify populations who are particularly vulnerable. This webinar also addresses strategies to improve advance health care directive completion for end-of-life care. Foundational to the 2015-2018 AHCA Quality Initiative are the core principles of two approaches known as the Baldrige Performance Excellence Criteria and Quality Assurance/Performance Improvement (QAPI). In order to achieve and sustain the Quality Initiative goals and drive overall business success, an organization must engage in a systematic performance improvement model, such as Baldrige or QAPI. AHCA has developed new resources to help members explore and better understand how and why to apply the Baldrige criteria. The Baldrige Fact Sheet provides a one page introduction to this integrated management model. Also, take eight minutes of your time and check out the Baldrige Overview Webinar where Courtney Bishnoi, Director of Quality and the Quality Award Program at AHCA, provides the highlights of how your organization can drive better quality and business outcomes through Baldrige. · Whether the organization efforts are guided by the organization’s mission, vision and values. This issue of caring for individuals suffering from memory loss who may exhibit behaviors that are difficult to manage ISN'T JUST ABOUT MEDS! It's about the need for long term care professionals to value the strengths and social needs of the residents at the same level…no a higher level…than their physical needs. How to shift the paradigm from the highest priority of "clean, fed and dry" to "enjoyable contented days" is the key to providing excellent care for those entrusted to our care. The shift from the medical model to the social model continues to be the stumbling block…regardless of fancy initiatives with great names …"
Plan to join speaker Diana Waugh, Waugh Consulting, LLC to laugh and learn! · Discuss the definitions of behaviors! · Describe the causes of behaviors that often lead to the use of antipsychotic medications. · Discuss the social assessment and social interventions that can be employed to reduce challenging behaviors without the use of antipsychotics while increasing the quality of life of the residents and the staff. Have you suddenly realized the year is half-over and identifying and moving forward on your Quality Initiative goals is still on the to-do list? 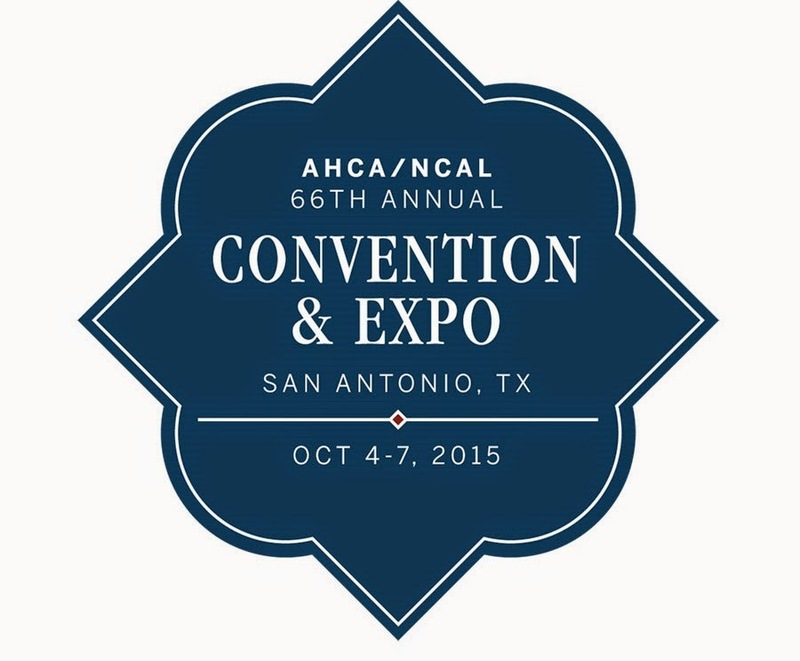 Take advantage of this year’s AHCA/NCAL Convention & Expo (October 4 – 7, 2015 in San Antonio, TX) to kick-start your efforts! NCAL Day includes two Quality Initiative-focused education sessions: If You Can Measure It, You Can Manage It: Satisfaction in Assisted Living; and Components for a Successful Staff Stability Strategy. The AHCA/NCAL Convention will have a special “Focus On” series of education sessions aimed to support your Quality Initiative Success. There are 28 education sessions in the following tracks: Customer Experience; Dementia Care; Post-Acute Care; and Staff Stability. These tracks include sessions relevant for both nursing centers and assisted living communities. Examples of some of the sessions that will be offered: A Whole-System Approach to Customer Experience; Nursing Home Insider: Mystery Shopper Becomes the Dreaded Family Member; Consent, Dementia, and Sexuality in Long Term Care: Strange Bed Fellows; Comprehensive Care for Persons with Dementia: Survey Readiness Around Person-Centered Care; Managing Hospital-SNF Readmissions Across the Continuum; IMPACT and the World of Outcomes in Rehab: Successful Practices; Advancing Superior Staff Stability; and Tired to Inspired: Transforming Disengaged Employees. The sessions range from the basic to more advance. Register today and create your personalized schedule! The US Department of Health and Human Services (HHS), Office of Inspector General (OIG) released its Semiannual Report to Congress, summarizing the activities of the agency for the 6-month period ending March 31, 2015. The report indicates that expected recoveries of over $1.8 billion consisting of nearly $544.7 million in audit receivables and about $1.26 billion in investigative receivables, which include about $142 million in non-HHS investigative receivables resulting from the States’ shares of Medicaid restitution. OIG reported 486 criminal actions against individuals or entities that engaged in crimes against HHS programs and 326 civil actions, which include false claims and unjust-enrichment lawsuits filed in Federal district court, civil monetary penalties settlements, and administrative recoveries related to provider self-disclosure matters. OIG also reported exclusions of 1,735 individuals and entities from participation in Federal health care programs. Headlines specifically mentioned in the “highlights” section include Hospices’ financial incentives to provide care in assisted living facilities, Critical access hospitals (CAH) – swing bed services payment rates (Medicare could have saved billions of dollars if CAH swing-bed services were reimbursed in skilled nursing facilities (SNFs); and Substandard and/or worthless skilled nursing services – Wisconsin. To obtain a full copy of the OIG report go to http://go.usa.gov/3XN7j. Nominate Your Champion of Quality By June 11! 2015 Bronze Award Recipients Announced!